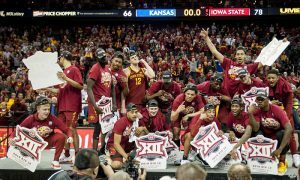 Kansas and Iowa State playing for the Big 12 Tournament Title, it made sense perfect sense on Saturday night at the Sprint Center. No other Big 12 team has won the conference tournament since Missouri back in 2012. So why not pin these two teams against each other in the conference final for the first time since 2015? Well, the Kansas Jayhawks were romped 78-66 by the more experience and more focused Cyclones. For Iowa State, it was their fourth conference tournament title in the last six years. As for Kansas, the streak of 14-straight Big 12 titles came to an end this season, and while a conference tournament title would’ve somewhat made up for it, they were unable to make that happen either. 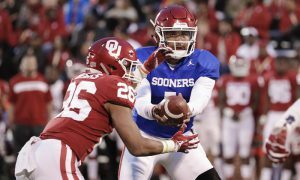 While fans all across the Big 12 Conference are understandably taking some satisfaction in the down year for the Jayhawks, the reality is it seems unlikely to last. Now I say all this with a caveat. The news that broke two days ago from CBS Sports’ Dennis Dodd that the KU football and basketball programs were under investigation by the NCAA can absolutely change all of this. It reportedly ties to possible wrongdoing by a former assistant coach. Of course, Kansas was also already being watched closely by the NCAA as part of the FBI investigation into college basketball. But until something comes down, I’m not going to speculate on what that means for one of the legendary programs in the sport. 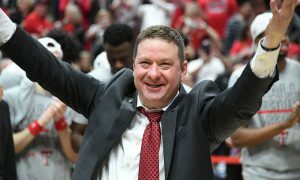 Well, that learning experience could pay dividends starting this week in the NCAA Tournament, but if nothing else, it will certainly pay off starting in 2019-2020, barring some aforementioned unforeseen penalties against the program. Of the key contributors on Saturday night, only Dedric Lawson seems likely to leave the program, heading to the NBA Draft. 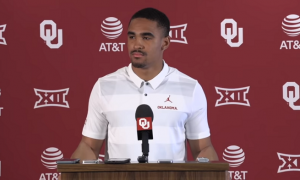 But as myself and HCS Big 12 hoops guru Matthew Postins discussed on Saturday night, Lawson is far from a guarantee to be a lottery pick, or anywhere close to it. He is a skilled player, but his does not have great athleticism. His “floor” in the NBA is relatively high, but his “ceiling” is not that high. And in the NBA Draft, potential often trumps skill set when it comes to where players are selected. 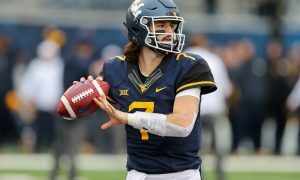 Frankly, I believe another year in college would do Lawson much good, but I would understand if he goes to the combine and decides it’s time to cash in if he believes he can sneak into the first round. 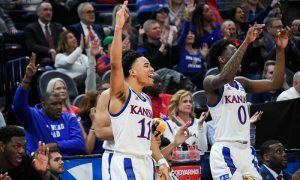 However, that still gives KU four returning starters in Quetin Grimes, Devon Dotson, Ochai Agbaji and David McCormack. Marcus Garrett, Mitch Lightfoot, K.J. 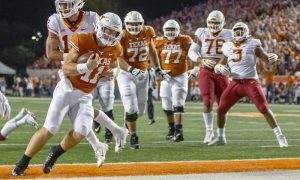 Lawson and Charlie Moore, the only other players to get into the game on Saturday night will also all be returning next season. Meanwhile, Iowa State’s program is in a great place as well with the majority of its contributors returning, but losing key seniors like Marial Shayok and Nick Weiler-Babb is always a tough pill to swallow. We also know the majority of the starters for Kansas State, one of the co-champions of the Big 12 this season, will be graduating. Texas Tech is in a good place. Like Iowa State, a lot of key players will be back, but some important seniors are leaving such as Norense Odiase, Tariq Owens and Matt Mooney. 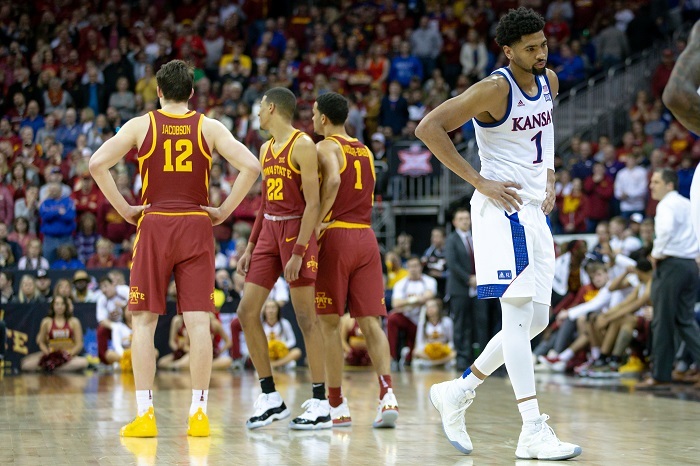 So as we get ready for March Madness and Kansas finds itself in the unusual position as a mid-seeded team with limited expectations, fans around the Big 12 Conference can certainly enjoy it, but as for getting used to it? I wouldn’t go that far. At least not yet.